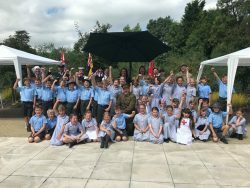 Marking 100 years since the end of the First World War, Form 2 pupils joined Cedar Court Care Home’s final King’s Shilling event, along with members of the Royal British Legion and staff wearing period costume. 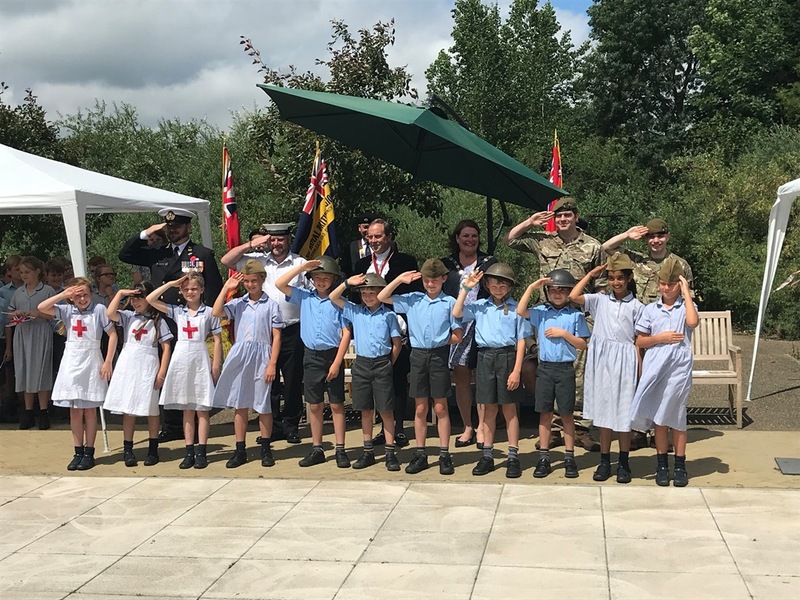 The Mayor of Waverley Denise Le Gal, Jim Glover, High Sheriff of Surrey, Leading Hand Mark Raynor, of the Royal Navy, and WO Steve Clarke of the Royal New Zealand Navy, representing NZ House, were all guests at the event. 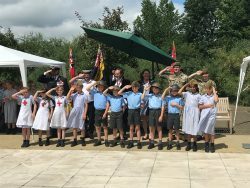 The afternoon started with standard bearers from the Cranleigh Royal British and Merchant Navy marching our Form 2 pupils, aided by Sergeant Clint Liddle and Private Mike Tweedie-Smith of the Princess of Wales’s Regiment. 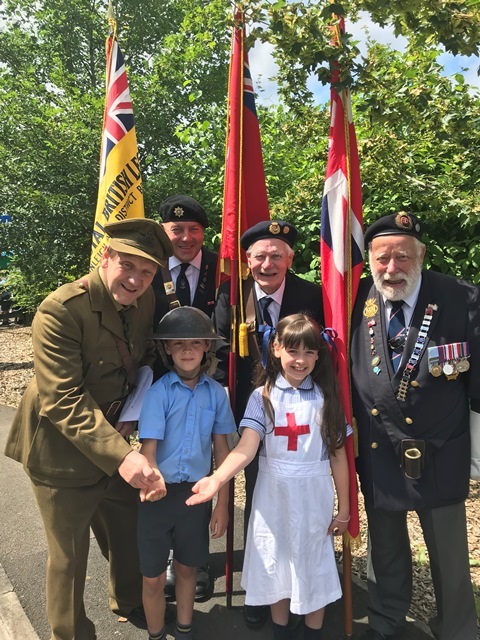 Cranleigh Prep pupils performed a wonderful variety of World War songs before the event ended with them taking the King’s shilling from guests and marching as members of the Cedar Court Light Cavalry. Emma Lewis, Deputy Head Pastoral, says “It was a lovely, memorable afternoon and it has been a privilege for our pupils to take part in this event every year”.